The countdown to Christmas begins now! 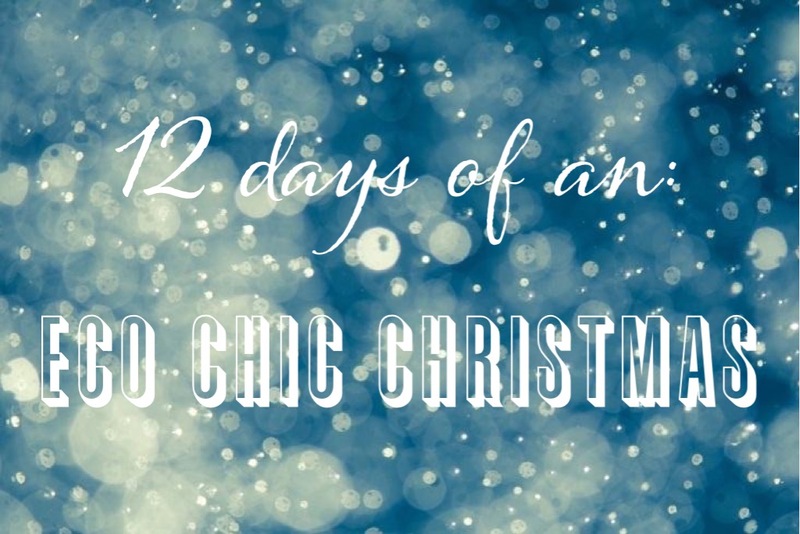 The 12 days of an Eco Chic Christmas is back! The next 12 days will be dedicated to eco friendly Christmas ideas, from homemade decorations to your eco friendly holiday gift guide. Today I am sharing with you Made With Love: 5 DIY Eco Chic Stocking Stuffers. We may live on an island, but that doesn’t mean we can’t have stockings. Sugar Cookies are a must for Christmas- well at least in this household. On Christmas Eve, my sister and I have a tradition, we have a Christmas movie marathon starting with How the Grinch Stole Christmas, while eating sugar cookies. For that loved one in your family or bestie who has a sweet tooth this is an easy and fun holiday gift idea. I am allergic to both milk and gluten- not fun. However, I have found a way to have my cookies and eat them too. These cookies were made from scratch in a fashion… I found a sugar cookie mix at Kirks Supermarket which is dairy free and gluten free- score! I followed the directions using milk and butter substitutes and voila! The cookies were signed, sealed and delivered! 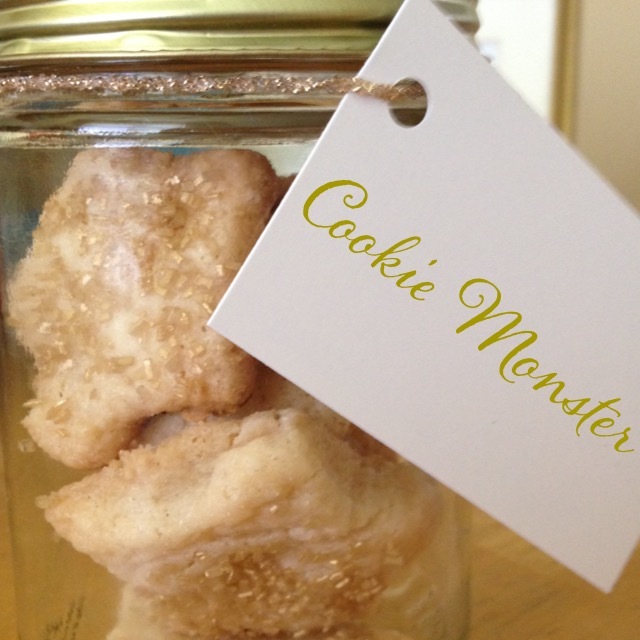 I repurposed the jar and packed in the cookies. Ever wonder what to get a hostess? You can easily repurpose a plastic plate and turn it into an eco chic chalkboard serving platter. So much fun for a hostess and guests to leave messages on the plate. All you need is some chalkboard paint and a plate which can be repurposed. I am a huge fan of F. Scott Fitzgerald! 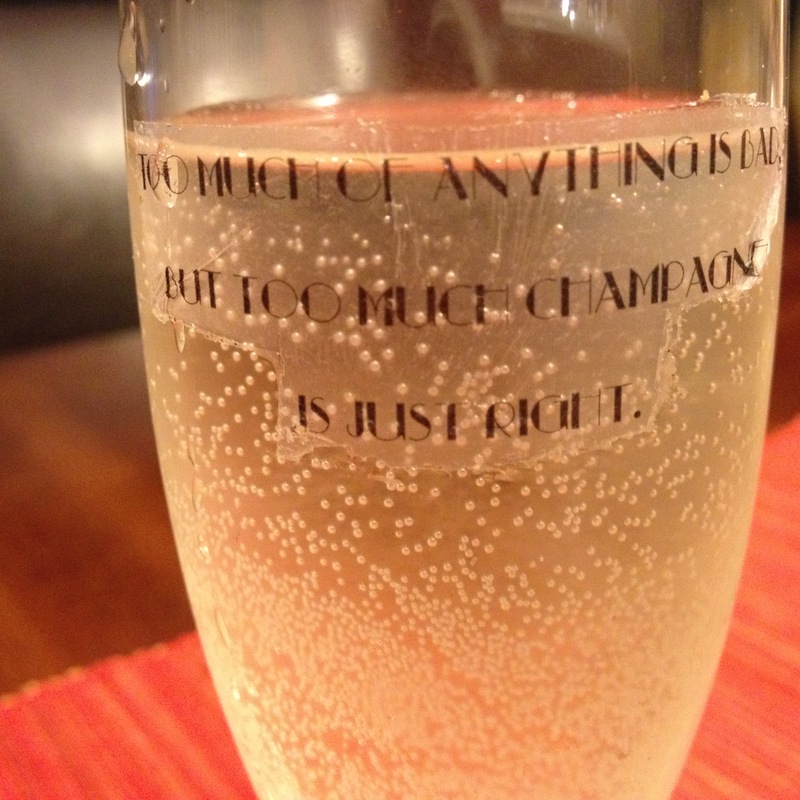 Mr. Fitzgerald sure got it right when he said, “Too much of anything is bad, but too much Champagne is just right.” Gotta love him! 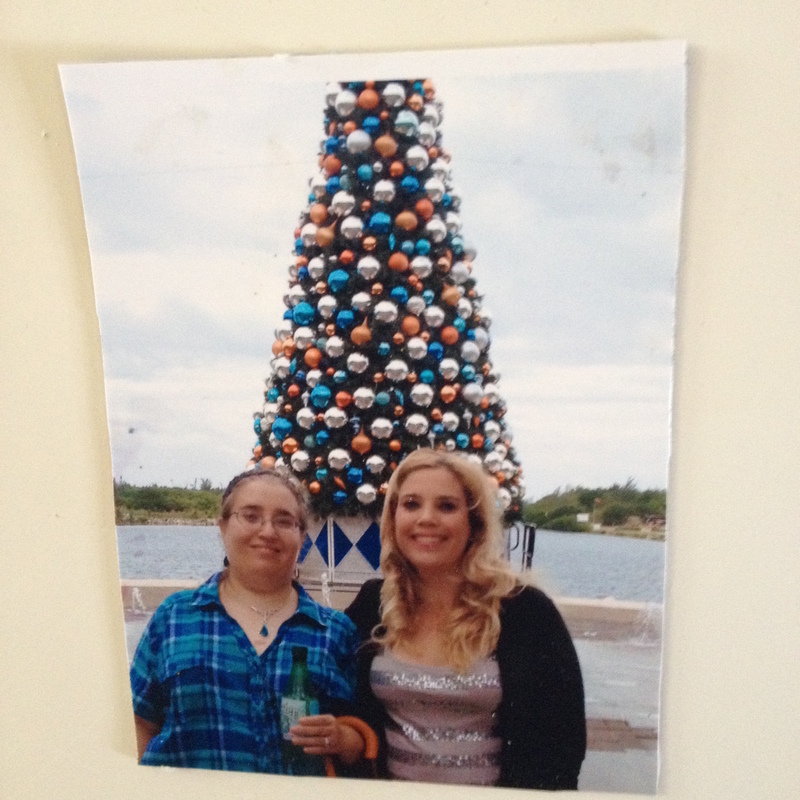 Of course you can personalize your message to what you think best suits your friend or loved one’s personality. Easy to make stocking stuffer. In my house there are always casualties when it comes to wine and champagne glasses. So when a set becomes broken up, consider repurposing the odd glasses out, as an eco chic gift. Look familiar? This candle was featured in a another DIY project. Candles are always a perfect gift. 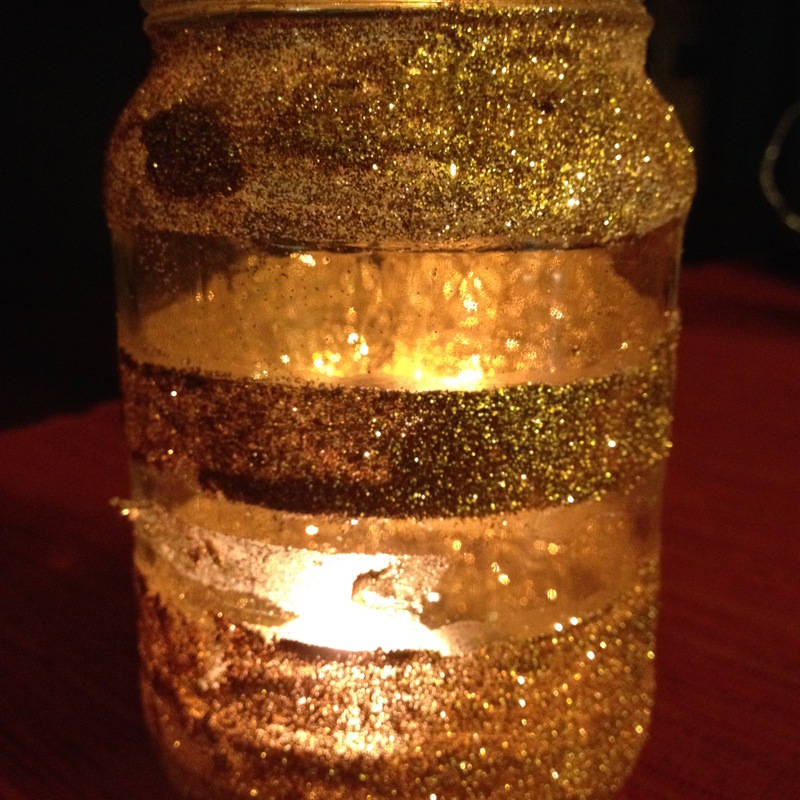 You can glitter up an old glass jar and make a festive and fun candle holder. Enjoy making your made with love, eco friendly stocking stuffers.